Ombudsman Anthony Mifsud has picked up where his predecessor left off in demanding better access to information. 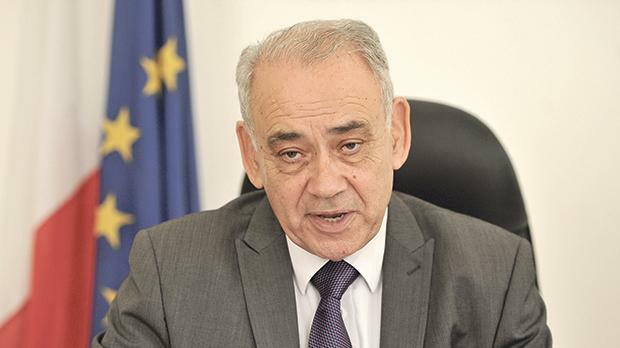 In an interview with Jacob Borg, Mr Mifsud says the fact the government needs to stress that the rule of law is alive and well is in itself indicative of the uneasiness that is being felt locally and internationally. You said in your last annual report that: “The situation is fast getting out of control and the people’s right to an accountable public administration is being seriously prejudiced.” What powers does the Ombudsman have to hold the public administration accountable? The functions of the Office of the Ombudsman are essentially to be the defender of the citizen and the conscience of public administration. The Ombudsman Act confers on the Ombudsman and Commissioners the powers it considers necessary for the office to hold the public administration accountable. It has ample powers to investigate complaints from aggrieved citizens and also to conduct own-initiative investigations to address systemic failures as a result of serious maladministration or abuse. The office has the power to make recommendations to ensure redress of injustice, it can submit its opinion for the consideration of the House of Representatives. It does not however have executive powers. It has to rely on its powers of persuasion, its competence in conducting investigations and the authority of its reasoned, objective and impartial opinions based on law, justice and equity. What do you think is fuelling the government’s tendency towards secrecy rather than transparent governance? Do you suspect corruption in any of the major privatisation projects, like the power station project, hospital privatisation or the ITS land deal? In the exercise of his functions the Ombudsman must strive to promote, favour and secure a public administration that is open, transparent and allows for participation in the conduct of public affairs. To this end he must be fully aware of public opinion and sensitive to the concerns of civil society when debating allegedly corruptive elements in the handling of major privatisation projects. It is not up to the Ombudsman to interpret what motivates government’s actions and it is up to other authorities to investigate allegations of corruption. During that round table my predecessor stated: “Transparency cannot be achieved unless correct knowledge of the facts and what made them happen are known and in the public domain. That knowledge is essential to ensure proper accountability. Accountability presumes that those to whom one is accountable are put in a position to arrive at an informed judgment in full knowledge of the relevant facts”. These are principles that my office promotes in the exercise of its functions. It needs to be guided by facts rather than suspicion. The Commissioner for Health, who falls under the Ombudsman’s office, complained about the fact that the government did not provide him with full copies of the hospital privatisation contracts. Has any legal action been taken to remedy this, and if not, why? The Commissioner for Health has for months pursued with tenacity his request to the ministry to provide him with full copies of these contracts. He has used his notable powers of persuasion and all the powers he has under the Ombudsman Act to retrieve these documents that the ministry is in duty bound to provide, except for taking legal action. The government even refused to table these documents in the House of Representatives when requested to do so and the matter became a political issue. Experience has shown that attempting to obtain documents that the office has a right to through a lengthy judicial process is hardly effective and can even be counterproductive and prejudicial to complainants. This has been the result of the legal proceedings taken by my office in the investigation of complaints by army officers. As things stand that remedy should be one of last resort. On the other hand, the government’s breach of a statutory obligation cannot but undermine the rule of law. The 2018 Ombudsplan questioned whether the appointment of people on a ‘position of trust basis’ is in line with the Constitution. Why has the Public Service Commission not taken the government to court over this? Is there any action that can be taken by the Ombudsman to remedy the situation? My office has for years been questioning whether the appointment of persons on a position of trust basis with government and public authorities, not done within the strict parameters laid down in the Constitution, was correct. This practice has been longstanding but has escalated in recent times. Our concern is backed by expert legal opinion on the matter that is of great relevance to the management of a good public administration and that gave rise to complaints being investigated by my Office. The Public Service Commission up to 2013 had on a number of occasions voiced the same concern and called upon Parliament to clarify and regularise that position. My office recognises that there is need for the Constitution to allow for the engagement of persons in positions of trust by ministers and parliamentary secretaries in limited, clearly defined circumstances. The government has attempted to clarify the position. In my opinion the remedies sought do not adequately address the core constitutional question. It is the opinion of my office that the whole matter should be debated and legislated upon by the competent authorities. My office can only reiterate its position. It has done more than its share on this matter and the rest is left to the political fora. Are you concerned that this lack of transparency is hampering the Ombudsman’s office from doing its job? Lack of transparency does not as a rule hamper the Ombudsman in the exercise of his function to investigate complaints insofar as the law gives him adequate powers to obtain the information required for his investigation and this is generally forthcoming. On the other hand, the other main function of the Ombudsman is to keep the executive and public administration accountable for their actions or inactions. This can only be done if they are transparent in the management of public affairs. Your 2017 report almost seemed to raise concerns that Malta is fast descending into anarchy. In it, you said there was a “popular perception” that illegalities or abuses would be written off. Do you have confidence in key institutions such as the police force, given their well-publicised reluctance to take action against high-placed government officials? This “popular perception” has been built over the years through repeated measures taken by successive governments to allow sanctioning of illegalities against payment of fines or other material compensation. These measures undoubtedly favour a warped mentality that one can flout laws and regulations with impunity since eventually all would be resolved and regularised against the payment of a monetary consideration. This mentality encourages abuse and arbitrariness. A classic example of crime pays especially for the rich and powerful. These sanctioning procedures, which are covered by laws and regulations, are often justified by the fact that they are a source of considerable revenue that can be put to good cause. Again this is a completely negative approach that undermines the basic principles that all should be equal and subject to the same law. Such schemes are most evident in the area of permits and licences, finance and planning policies. This office insists that the law is there to be obeyed by all and those who violate laws and regulations need to be brought to justice and penalised. The state of legality needs to be restored whatever the cost. Sanctioning of illegality can only be entertained in very exceptional cases in which there is political consensus that justifies such an extreme measure. Failure to do so would not only lead to undermining the rule of law, it would also unduly favour the criminal and unjustly prejudice law abiding citizens. The Ombudsman needs to have confidence in key institutions that are to be judged by their actions or inactions. My office insists on the accountability of all persons holding public office. It is not proper for me to comment on the level of confidence that these institutions enjoy at any given moment, unless this is necessary in the context of the investigation of a complaint. Such judgment should be left to competent authorities and public opinion. Do you feel that the Freedom of Information Act is too restrictive, in that it provides public entities with too many justifications not to provide information? Is it in need of an overhaul? I can refer you to what my predecessor has said in a position paper on the State’s duty to inform: “Any refusal without valid cause to provide timely and correct information which is legitimately requested cannot but be considered to be an obstacle to the democratic process since it hinders popular public participation in the administration – something to which every member of society is entitled. Consequently such refusal cannot but be considered to be anti-democratic”. The reluctance of the public administration to provide correct and timely information has become an issue in the country. Existing legislation, though undoubtedly positive, is not always effective. I can refer you to what the Speaker said on this issue: “This reminds you of the report published by the Council of Europe Group, ‘States against corruption’ where the findings show that when you have deficient freedom of information access to everyone, then corruption is not being addressed. In this respect one should examine the legislation of Finland on the access of freedom of information which is a very strong and comprehensive one”. In another section of the annual report, you say that all Commissioners, to a varying degree, complained that departments and public authorities very often failed to answer their request for reaction on complaints and to provide the required information sometimes for months on end. Do you feel there is a coordinated effort to try undermine the Ombudsman’s Office by starving it of information? Does the Ombudsman need more powers to demand access to certain information? The Ombudsman does not need more legislative powers to demand access to information. The law adequately provides for that. It is true that we have experienced delay, at times unacceptable, by some government departments and certain public authorities in providing the information required for investigations. This delay hinders a speedy resolution of complaints. I do not attribute such delays to an orchestrated attempt to undermine the office. Other factors come into play, including a lack of awareness by public officers of the importance of the Ombudsman institution and their duty to cooperate fully with it to secure a good public administration. On occasions the refusal to provide information becomes a matter of principle as was the case in the investigation of complaints by army officers. Even in that case however, the army authorities readily provided the information once the courts directed them to do so, though the ensuing delay undoubtedly prejudiced complainants. The government has been at pains to stress that the rule of law in Malta is alive and well. Do you agree with this, even when for simple things like widening a road, the government literally bulldozes over everything in its path then applies for a permit after? The fact that the government needs to stress that the rule of law is alive and well is in itself indicative of the uneasiness that is being felt locally and internationally. The institutions charged with ensuring the rule of law and the accountability of public authorities must be constantly on their guard to ensure that political arrogance is kept in check and abuse of power curbed. Public authorities, which should lead by example, have no right to bypass regulations and violate laws for whatever reason, let alone tenuous and unconvincing ones. What are your suggestions to improve accountability and transparency across the public sector? The strengthening of autonomous institutions with the duty to verify the level of accountability of the public administration is crucial. In this respect the recent agreement on the appointment for the Commissioner for Standards is certainly a step in the right direction. My office has been proposing that the Ombudsman’s office and that of the Auditor General, as well as other constitutional authorities, should be recognised and structurally reorganised as entities at the service of the House of Representatives to ensure transparency and accountability. Appropriate mechanisms should be established to ensure that the final opinions of the Ombudsman and Commissioners, referred to Parliament in terms of the Ombudsman Act, are duly considered and action taken, not only to afford redress to aggrieved citizens but also to guarantee that all enjoy the benefits of a good public administration.